Light-flyweight Kaew Pongprayoon became the first Thai fighter to qualify for the 2012 Olympics yesterday when he upset local favourite Salman Alizade in the World Amateur Boxing Championships in Baku, Azerbaijan. In probably the best fight of his career, the unseeded Thai reached the quarter-finals of the 49kg class after hammering the top seed and European champion 23-8. "My 10-year wait is over," said Kaew. "My dream has become true." Kaew was thinking about retiring from the sport a few years ago when he competed at the 45kg division which is only contested at the SEA Games. Kaew has fought in the 49kg division after Thailand's top light-flyweight Amnat Ruenroeng moved up to the flyweight category. In today's last eight round, Kaew will face Zou Shiming of China, who is the reigning Olympic and Asian Games champion. Zou, who is seeking his third world title, registered an easy 12-5 win over Mark Barriga of the Philippines in the round of 16. Thailand's head coach Thong Thaweekhun said that it would be a difficult task for Kaew but he believed his athlete is good enough to beat Zou. "It will also be a tough fight for the Chinese," the coach said. Unfortunately for the Thai team, Worapoj Petchkoom, one of their best hopes, suffered a shock defeat against American Joseph Diaz 24-21 in the second round (last 32) of the 56kg division on Monday. Asian Games champion Worapoj, a 2004 Olympic silver medallist, complained that he should have won. "I did better than him in every round," he said. Worapoj will have another chance to get an Olympic spot at a qualifying event in Kazakhstan in April. He will also represent Thailand at the SEA Games in Indonesia next month. In the third round bout (last 16) last night, Sailom Ardee was scheduled to fight Yasnier Toledo in the 60kg division while Chatchai Butdee was to face Andrew Selby of Wales in the 52kg class. Boxing is Thailand's most successful sport at the Olympics. 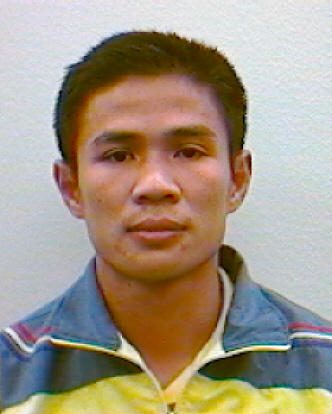 Boxer Somluck Kamsing secured the kingdom's breakthrough at the 1996 edition in Atlanta where he became the first Thai athlete to win an Olympic gold. Three Thai fighters have since followed in Somluck's footsteps _ Wijarn Ponlid in 2000, Manus Boonjumnong in 2004 and Somjit Jongjohor in 2008.